Crimson Peak sets us in early 1900’s Buffalo, New York, where we meet Edith Cushing (Mia Wasikowska) an ahead of her time writer who works for her father Carter Cushing (Jim Beaver), a powerful businessman who’s willing to hear a proposition from the desperate, in-need of quick financing, Baronet Thomas Sharpe (Tom Hiddleston). The Sharpe estate in England, Allerdale Hall, sits on top of a valuable red clay mine, and Thomas is in need of funding to build a machine he has invented that will reach the minerals underneath. Being tall, dark, and handsome, Thomas is able to win Edith’s heart as a means to the money, but he does seem to have genuine affection for her, much to the displeasure of his intimidating sister Lucille Sharpe (Jessica Chastain). It’s plainly obvious to everyone but Edith that Thomas & Lucille are up to no good from moment one. 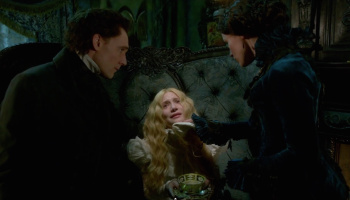 However, when she moves with Thomas and Lucille to Allerdale Hall, Edith discovers that it holds dark secrets and phantoms, and that the warning she received as a girl from her mother’s ghost to “Beware of Crimson Peak,” has started to come true. This may not be a ghost story, but ghosts are here, and they don’t really serve the story well. The mystery behind Allerdale Hall gets to be a bit tedious with oddly unnecessary stabbings up until the end when del Toro finally shows us what he’s seemingly been going for all along. And even though I’m quite good at predicting plot twists, the reveal showed itself early on, though it did work for me in it’s own way and is finally where the film somewhat clicked for me albeit a little late in the game. 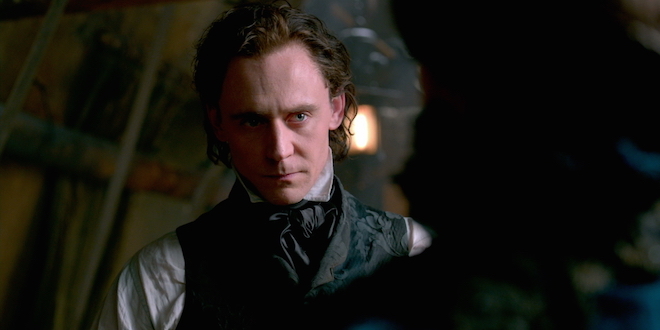 Crimson Peak never reaches the heights of some of del Toro’s earlier work, as I loved “Pans Labyrinth” and thought it was simply fantastic. The “Hellboy” franchise has it’s own sense of campy-ness fun and “The Hobbit” films aren’t 5-star, but they are watchable. 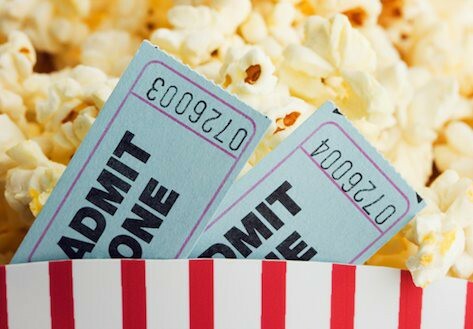 In terms of the characters or plot, it at least surpasses the rock-em’ sock-em’ robots of “Pacific Rim” in that regards. There are three performances here that felt stand out some with the rest being almost what you’d expect again with exceptions. Chastain, who pulls out all the stops and makes her character wonderfully creepy. Jim Beaver, even though in a small supporting role, stands out and lastly and a bit surprising as his role is a bit bigger and juicier than I would have thought, is Charlie Hunnam as Dr. Alan McMichael. Mia Wasikowska doesn’t really do herself any favours here and is almost blissfully bland. Hiddleston is fair enough and really just stays stuck in middle ground. 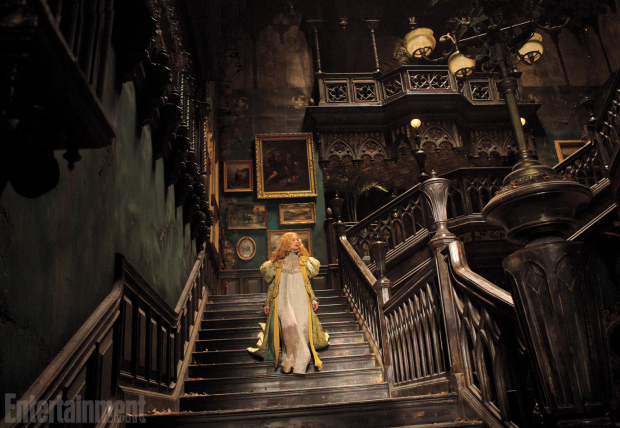 Crimson Peak wonderfully crafted set & costume design is truly sublime and always pleasing to the eye, though its story and scare factor is often far less compelling.